I've heard so many great things about this book, that I was more than a bit disappointed with it. It just didn't grip me. 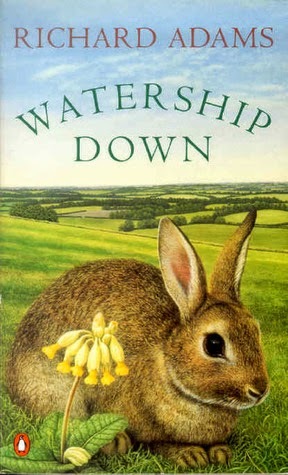 Adams can write adventure all right, but I didn't get why it had to be rabbits? They behave exactly like people anyway, so what's the point? For me it didn't work, as I couldn't care much for just a pack of rabbits, however well-elaborated their characters might be. I know, I'm a monster :) But I've hated tear-inducing books about "poor animals" since my childhood :) The rabbit language was also not very well-developed or necessary. What I did like was the rabbit mythology. The parts when they tell stories were my favorite! The biggest problem of the book is the lack of any female characters. The whole plot is about "getting some does", but even when they appear, they don't play any role at all and are very passive. OK, OK, maybe it's supposed to be so with the rabbits, but they behave like humans, so it still irritates me. Also, all the philosophy is just... meh! I read it for Chronicles of Barsetshire Readalong, and it was due in March, but I couldn't finish it until May, although it's a fairly thin book. What can I say? It was just so dull! I didn't care a twopence about moral dilemmas of a countryside priest and all the ecclesiastical politics around it. 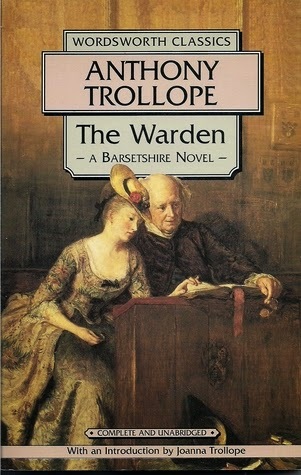 Trollope is really witty in some small scenes, for example his commentary on family life made me giggle a couple of times, but the plot is just so long-drawn and anti-climactic, that most of the time I used the book to fall asleep fast. In my book: A classic soporific. I picked this book out of despair - no story could hold my attention this horrible May, and I thought if this one couldn't, I was doomed. Well, Lynch haven't disappointed me: I was involved in the book, as much as it was possible at the time. However, I do think it had some problems. First, both plots (there's a flashback, as usual) are far from being original. Election and theater, really? They DO work, because both are amazing sources of plot devices, but I kinda thought Lynch was above it... Also, I didn't get the whole thing about the bondsmagi, including the last cataclysm and Locke's "secret". WTF???? I was most excited to finally see Sabetha, but I was a bit disappointed here too. No, she IS every inch as cool as I've imagined her, but her and Locke's relationship is so fucked up it becomes tiresome. Also, I'm glad there are always enough of great female characters in the series, but her "female in a male world" problems are a bit exaggerated here, I think. 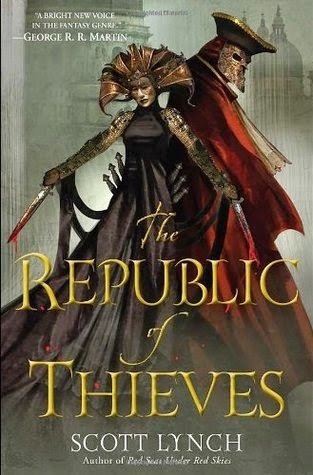 In my book: Still great, but a bit less amazing and a bit darker than the previous books. 1) I've just defended my thesis. It was good! Also, half an hour later, I failed the state exam. It was so bad, I can't even! I got the worst possible question. Apart from being ashamed as hell (my boss was in the committee), I'll have to do it all again in August. I realize that it's not the end of the world, but the perfectionist in me is crying and cursing. What's worse is that my mom is coming for graduation, and there will be no graduation for me. What a shame! 2) I've just got back from a great vacation at home! All my dear friends, small touristic trips, parties... Wonderful, just wonderful! I needed it! No surprise that I was not so well prepared for the state exam... One place we've visited was a marble quarry where they dug stuff to build all the pretty buildings in St.Petersburg. It's very beautiful! 4) I haven't been reading a lot this month, if only you don't count lecture notes :) I'm nearly done with Outlander, and oh my god is it trashy! If I ever finish it, the review will probably be a huge rant, so get ready! I have no idea what to read next, maybe I'll pick up the Hitchhiker's Guide books - the "Don't panic" message would be really appreciated right now :) Or I might finally pick up a book in Czech! 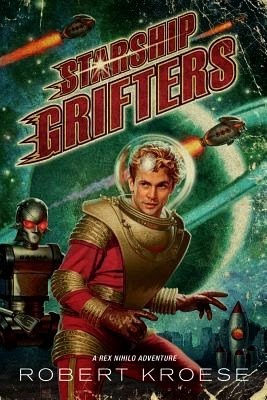 I have been given this book for review by Lori, and I must say she's great at choosing appropriate reviewers :) I really enjoyed Starship Grifters! Usually I would complain that the book lacks depth. You know, The Hitchhiker's Guide, which it is compared to, is about "life, universe and everything"; Starship Grifters is not. It's just some funny adventures of some crazy characters in a totally unbelievable universe. But just because of this it's just a perfect book to read when you are in the end of the semester writing your diploma, your long-term relationship is fucked-up and you undergo an unpleasant and expensive medical treatment. There was literally nothing that could make me laugh or even engage me enough to care, but this book could! The second amazing thing is all the craziness of what's happening in the book. There's no telling what'll happen next, but you'll surely be surprised. There are some funny and sarcastic commentaries on certain easily recognizable real-life characters and situations, but the book is still far from being satirical. The dialogues are funny and made me giggle a couple of times, and the final plot twist is really good. In my book: Starship Grifters is a farce, full of cliches and unbelievable stuff. But it's very funny and just great for raising your spirits, even at times when you are totally unable to concentrate on everything. P.S. Look at the cover! It looks like a battered copy of a classic sci-fi paperback! I love that! Wow! 4 books, four languages already! You guys rock! :) Good luck with achieving your goals and don't forget to check out the posts of your fellow readers :) See you in the end of June!